My personal summary of the Better Buildings Conference in Burlington and a whole lot more. — Vermont Architect. 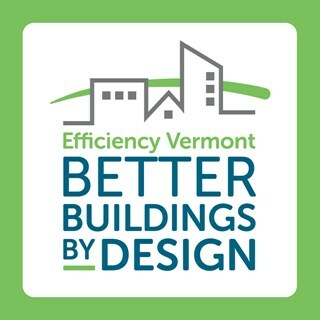 I attended the Better Buildings by Design Conference in Burlington last week after an absence of a few years due to having come down with kids. My family tried their darndest to prevent me from attending this year. I held my breath for 4 days straight and still ended up on antibiotics. But I got there. My apologies to anyone who’s work week I ruined although I saw a lot of other folks sniffling too. Conferences such as this serve as fuel for so many of us working off in the hills and this one did not disappoint (understatement). The sort of thinking that went into the content of this conference is so necessary, speaking here as an architect and hill dweller, to pull us out of our little worlds and place us in context. As I normally do during and after these events, I started writing notes that may or may not get posted to the blog on my Bluetime Collaborative website. The initial post-conference blog post is pretty rough and personal and represents more of a brain dump for me to return to later, but it has gained some attention and started conversations. -Think, Act and Design in terms of Carbon Sequestration – Energy use is only one aspect of that and is too limited. -Process and Relationships between design and building – There is much room for improvement and community building. The keynote speaker Ruth Ann Norton of Green and Healthy Homes Initiative (GHHI) “led GHHI’s innovative work to use housing as a platform for improved health, economic and social outcomes for America’s children and seniors”. (from the program bio) Small measures as she described such as home by home correcting and improving the indoor environmental quality of older homes have very impressive and measurable compounded results. For example, some air sealing, fixing leaks and mold remediation can result in healthier kids that miss school less and visit the hospital less resulting in parents missing work less resulting in better job security and more upward mobility in the workforce and ultimately can provide a path out of poverty which leads ultimately to a more prosperous, healthy and safer country. This is a very narrow and quick synopsis but should serve to illustrate the compounded social and economic effects of low cost and simple grass roots work. GHHI and all their partners are working to quantify this and the resulting analysis is a key tool to affect needed change. In a later presentation Jesse Thompson of Kaplan Thompson Architects talked about multifamily housing and “stealth passive house”. Passive house level construction for multifamily housing is gaining momentum with publicly funded projects because it makes economic sense on many levels – it’s a number cruncher thing. Jesse also mentioned building codes. There has long been an attitude that codes are something in which to find the loopholes and cheat. This is part of the game. Who writes building codes and who fights building codes? We in the industry lament how inadequately building codes follow the science in terms of health and durability. I worry that most new buildings being built to current code minimum standards will quickly, if not immediately become the buildings that create the problems which groups like the GHHI then need to deal with. Addressing building codes goes to the route of a whole range of societal issues. It’s one of those “an ounce of prevention is worth a pound of cure” ideas that we have such a hard time with in this country. Putting these ideas together I realized that perhaps groups such as the GHHI should have a greater seat at that table as they have the convincing data to effect real progressive, meaningful and measurable change. If the work of the GHHI were to become a tool to affect building codes, perhaps that could ultimately make the GHHI unnecessary. The presentation by Chris Magwood and Jacob Racusin was titled “Beyond Energy Efficiency – Why Embodied Carbon in Materials Matters” -I should credit Ace McArleton as well but he was under the weather and couldn’t be there – provided much clarity in my own thinking about what I’m trying to do with my own practice but also how to look at the larger picture and how we, the building professionals of the world fit into the whole. The sort of thinking that went into this presentation is so necessary, speaking here as an architect, to pull us out of our little worlds and place us in context. Something that our profession is not very good at outside of a few shining examples. Us little guys have an especially hard time with this. I have been somewhat jaded and weary of the narrow and overly simplified focus on energy use in buildings. Metrics such as Passive House provide some entertainment and aid in goal setting but these have felt somewhat hollow and distracting to me in recent years. Jacob and Chris provided some helpful redirection and clarity that ties in very nicely with my current thinking about how to clarify and develop my own business model and how it relates to, not just my work but how I work with others. Contrary to convention, I like to assume the builder is interested in design - even the more poetic aspects of it. If I start from that assumption, let’s see what can happen! I prefer to bring the builder on board very early in a project and on one project, we even have the sawyer at the local mill excited and consulting on how to use his knowledge and expertise to elevate the quality of this project. I can provide design skills but I realize that a big part of design is synthesizing all the knowledge and personality and skills and enthusiasm of everybody around me. So in a way, the goal is to create that powerful design team but in a slightly unconventional way -or perhaps very conventional? I should insert one of those inspirational posters about team building here. But I will spare you (and myself) that pain. Unless I can find one with baby goats. This ties very nicely into what Jacob and Chris were talking about in terms of carbon sequestering and community. As an architect, I place myself in position on projects to pull together the people and resources to do not just good projects with a happy clients but projects that can pull people together and provide teaching and learning opportunities for all of us. Everything from shared knowledge on Instagram to on-location tours, discussions on facebook and so much more. By maximizing educational opportunities, I get to learn so much more and perhaps I can help other people redefine their own way of doing things. This is part of the huge and varied definition of community. I can use my design skills and my building science knowledge to think about what I can do to bring in more local resources such as wood from the local mill as well as inspire enthusiasm and hopefully pride from everyone involved. I am in a position to evaluate the materials that go into a project of my design and make responsible choices. I can also guide people through responsible choices about materials and resource use. This is part of a business model - I want people to come to me because I can put together that level of knowledge. However, all this talk of materials, energy use and carbon sequestration does not mean for a moment that I must reign in my talents and abilities as an architect. On the contrary – if I am truly good then I can use this to elevate the design. That is my ultimate and secret (oops) goal. To create architecture on the highest level of awesome! Primarily, I want people to come to me for that. I like the notion of looking at this profession in terms of how things are connected and considering how we can fit in, effect change and not just sit around feeling helpless. A lot of ripples can result from one small project in the hills of Vermont so perhaps I don’t need to feel so small and helpless and unable to save the world.